One of the people involved was in touch and added considerably to our knowledge. “The first issue printed has a colour cover and got called no. 2. I wasn’t on the ed. group, my guess is this was a joke intended to confound & irritate archivists later on in history. 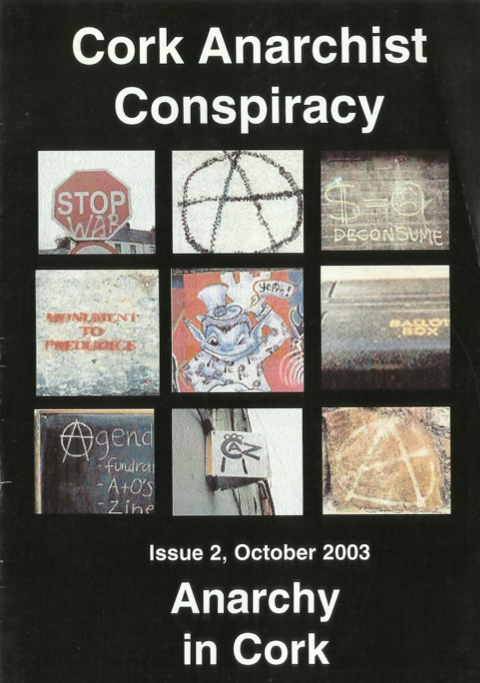 “Second was a housing special, the third focused on the Grassroots Network organising for EU summit Mayday ’04 (I was on ed. group for both these, did enjoy that; we took on layout as well.) Fourth issue was the green one.